Working out the solution for a crucial shot means you need an accurate range right now, regardless of the distance. Nikon's BLACK RANGEX 4K is engineered to deliver over 2 miles of ranging capability with the speed, precision and consistency you need for extreme long-distance shooting. Working out the solution for a crucial shot means you need an accurate range right now, regardless of the distance. Nikon &apos;s BLACK RANGEX 4K is engineered to deliver over 2 miles of ranging capability with the speed, precision and consistency you need for extreme long-distance shooting. Featuring Nikon&apos;s HYPER READ function for extraordinarily fast, positive measurements, the rangefinder&apos;s integral monocular offers the bright, sharp view required for target spotting and acquisition. BLACK RANGEX 4K&apos;s high-visibility red OLED display provides ideal contrast on distant targets with automatic or five stages of selectable brightness. For incline or decline shooting angles, the RANGEX is equipped with Nikon&apos;s ID Technology that delivers the one number you need for determining your best shot. 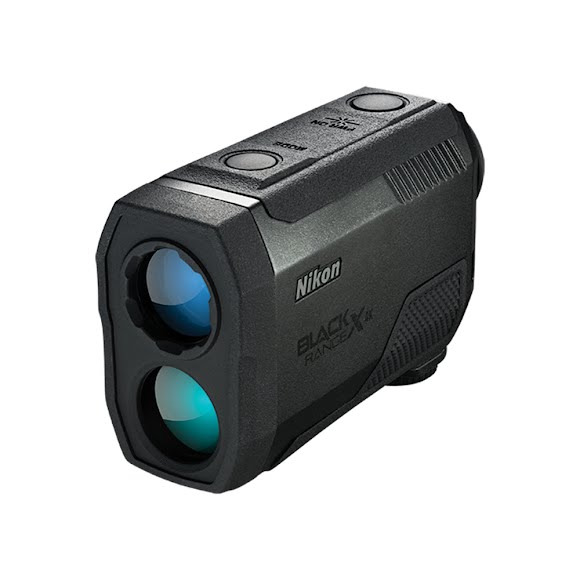 Nikon&apos;s advanced ID Technology provides the horizontal distance to the target, even when ranging at various incline or decline shooting anglesâ€“up to an incredible +/- 89 degrees (nearly vertical up or down). Choose between two different ranging modes depending on the situation. First target priority mode allows you to range to an object as small as a fence post, while distant target priority mode displays the range of the farthest target among a group of targets measured. Wide field of view, long eye relief and bright optics get you on target faster. Quick and stable measurement response in approximately 0.3 seconds, regardless of distance. Made to withstand even the worst conditions, the BLACK RANGEX 4K is waterproof and fogproof. Dimensions 4.3" x 1.6" x 2.9"